I got this picture this week. What is interesting about this price menu is that the “Fuel and Service,” priced at $9.29, is so off the scale (and so outrageous) that perhaps it makes the pre-paid option of $3.65 look attractive. 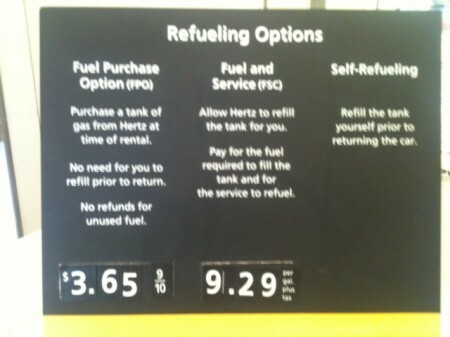 After all it is about 1/3 the price of the Fuel and Service.